If it is in the Bible, it is God’s Word though, right? So He must have a purpose for it, right? These names, places and numbers clearly show that these are historical passages – the Bible is a history book! 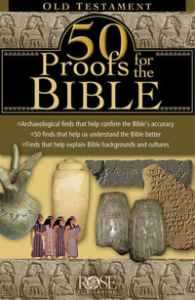 And in many cases, we see that it is very reliable as evidenced by the fact that many persons and places in the Bible have been confirmed as true history from other sources – check out these 53 influential people – https://www.biblicalarchaeology.org/daily/people-cultures-in-the-bible/people-in-the-bible/50-people-in-the-bible-confirmed-archaeologically/! These hard names are evidence that the Bible is True! This is a short reference guide that is free with a donation of any amount. Just list that you want “50 Proofs that the Bible is True” in the memo section.